Being one of the reputed organizations in the market, we are engaged in manufacturing, trading, exporting, importing and supplying a quality approved Boiled Rice Sorting Machine that is available with LCD screen in various models. The offered sorting machine is manufactured by our adroit professionals using top notch components and modern technology in adherence with industry norms. 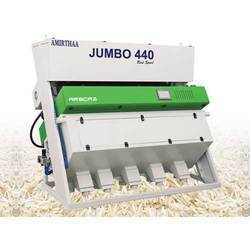 Moreover, this sorting machine is highly appreciated in the market owing to their varied quality attributes. 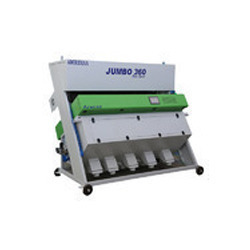 Clients can avail this sorting machine from us at nominal prices. With sincerity and hard work of our professionals, we have carved a niche for ourselves in this domain by offering Color Sorting Equipment. Our provided sorting equipment is highly appreciated by the clients for its high strength and smooth operation. 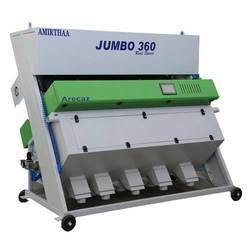 Finds wide application in the agricultural sector for the sorting of grains like rice, dal and pulses, this sorting equipment is manufactured using supreme quality raw material and advanced technology. Looking for Boiled Rice Color Sorting machine ?